Dengue Fever Singapore - on the 19th of June 2013, NEA (National Environment Agency) updated in their website of 49 new daily cases were added to make the total number of 10386 dengue cases was reported since 1st Jan 2013!! So far, it is not getting any better! In fact, Dengue Fever Singapore is at its all time high! Don't wait to stop breeding mosquitoes! Any little deeds will help - you, your family, your neighbours and your friends! THERE IS NO DRUG FOR DENGUE.To prevent dengue fever, you must prevent the breeding of its carrier, the Aedes mosquitoes. Aedes mosquitoes are identified by the black and white stripes on their body. You can get rid of the Aedes mosquito by frequently checking and removing stagnant water in your home. Dengue fever, also known as breakbone fever, is an infectious tropical disease caused by the dengue virus. Symptoms include fever, headache, muscle and joint pains, and a characteristic skin rash that is similar to measles. In a small proportion of cases the disease develops into the life-threatening dengue hemorrhagic fever, resulting in bleeding, low levels of blood platelets and blood plasma leakage, or into dengue shock syndrome, where dangerously low blood pressure occurs. Dengue is transmitted by several species of mosquito within the genus Aedes, principally A. aegypti. The virus has four different types; infection with one type usually gives lifelong immunity to that type, but only short-term immunity to the others. Subsequent infection with a different type increases the risk of severe complications. As there is no commercially available vaccine, prevention is sought by reducing the habitat and the number of mosquitoes and limiting exposure to bites. Stop Dengue Fever Singapore now - being pro-active! Repel mosquitoes - don't let them breed! Make Singapore Dengue Fever Free! Repellent repels mosquitoes - that is, it reduces the chances of being bitten- but it does not mosquito-proof a person. In this light, repellent use offers individuals added protection against mosquito-borne diseases. In the community, it reduces the transmission of mosquito-borne diseases. Some plant Lemongrass at home to repel mosquitoes. We suggest also Vaporizing 100% Pure Essential Oil - Citronella and Lemongrass blended for Repelling mosquitoes and providing a soothing scent with safety in mind! You may consider Eucalyptus and Peppermint Essential Oil too. Please do your own research to ensure proper use! - Also, low power consumption (4-6 watts) - no carbon from candle! 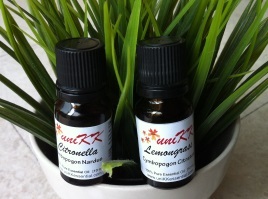 About Citronella and Lemongrass Essential Oil - great for Repelling Insects - and other aromatherapy uses! Check out Eucalyptus and Peppermint Essential Oil too! Lemongrass Essential Oil revitalizes the body and relieves the symptoms of jetlag, clears headaches and helps to combat nervous exhaustion and stress-related conditions. It is a great overall tonic for the body and it boosts the parasympathetic nervous system, which is a boon when recovering from illness, as it also stimulates glandular secretions. It is useful with respiratory infections such as sore throats, laryngitis and fever and helps prevent spreading of infectious diseases. It is helpful with colitis, indigestion and gastro-enteritis. Lemongrass oil helps tone the muscles and tissue, relieves muscle pains by making the muscle more supple. It helps with correcting poor circulation and as an insect repellant. It helps to keep pets clean of fleas, ticks and lice. It also is used for clearing up oily skin and acne, as well as athlete's foot. 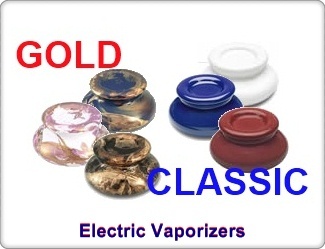 It alleviates excessive perspiration. Lemongrass oil has great benefits as a muscle and skin toner, and revitalizes the body and mind, helps with infections and keeps the family pet flea and tick free and smelling nice. In vapor therapy, Lemongrass oil can be used for nervousness and as an insect repellant. It is also great to revive the mind when feeling lethargic and to energize as well as relieving fatigue. Fight Dengue Fever Singapore. If we can't eradicate it, repel it! Eucalyptus essential oil is effective for treating a number of respiratory problems including cold, cough, runny nose, sore throat, asthma, nasal congestion, bronchitis and sinusitis. Eucalyptus oil is antibacterial, antifungal, antimicrobial, antiviral, anti-inflammatory and decongestant in nature, which makes it a good ingredient in many medicines that treat respiratory problems. Patients suffering from non-bacterial sinusitis showed faster improvement when given medicine containing eucalyptus oil. Gargles of eucalyptus oil mixed with warm water are consistently effective in treating sore throats. Eucalyptus essential oil has antiseptic qualities because of its germicidal quality. Upon exposure to air, ozone is formed which is a well-researched antiseptic. Therefore, eucalyptus oil is used for healing wounds, ulcers, burns, cuts, abrasions and sores. It is also an effective salve for insect bites and stings. The antiseptic and deodorant nature of eucalyptus oil makes it a perfect room freshener for hospitals. It also kills bacteria and germs in the air, keeping the environment of the rooms clean and sterilized. If you must have water / pond in the home/garden - make sure you have fish swimming in them. Let the mozzies' offsprings be part of their diet! The trend is worst than any Stock Markets Rise and Fall!